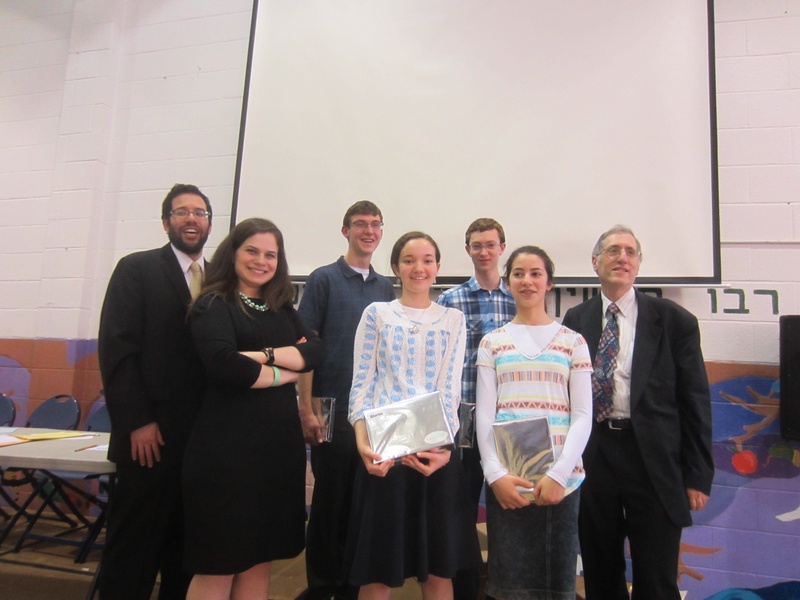 Registration is now open for the 2014-2015 US Chidon HaTanach (Bible Contest). The registration video is now available for your viewing. Please see Publication 1-1 for complete information about next year’s Chidon. Teachers, if you would like to register your school, fill in the registration form online. Parents, if your child intends to participate through a school or other organized Chidon group, then you should not fill out a separate form for your child. However, if your child is studying for the Chidon and taking the exams on his/her own, then please fill out the registration form as a private registrant. Students, if you would like some sample questions to start studying over the summer, check out our Old Exams tab. 1) Retrospective about the 1988 contest, in which American Jeremy Wieder tied for 1st Place, from Tablet Magazine. 3) Tablet Magazine managing editor Wayne Hoffman recounts his experience growing up in Chidon family. 4) Bluma Finklestein of Memphis, TN, reflects on her trip to Israel to watch her son, Asher, participate in the International Chidon. 8) The Jewish Standard interviews Dani Peyser about his trip to Israel for the International Chidon. 9) The LA Jewish Home covers the LA schools’ participation in the US Chidon, including an article by Chidon contestant Amira Felsenthal of YULA. 10) The American Jewish World reports on American English Division Champion Lincoln Bernhard‘s experience at the International Chidon. Please forward to us any reports that we might have missed. The Chidon Finals took place today in New York. Photos are available in our Photos tab. Additional photos are available on Dropbox. Congratulations to all of the winners! Benjamin, Shalva, Tehila, and Avi will be the 4 Americans who travel to Israel next year for the 2015 International Contest. 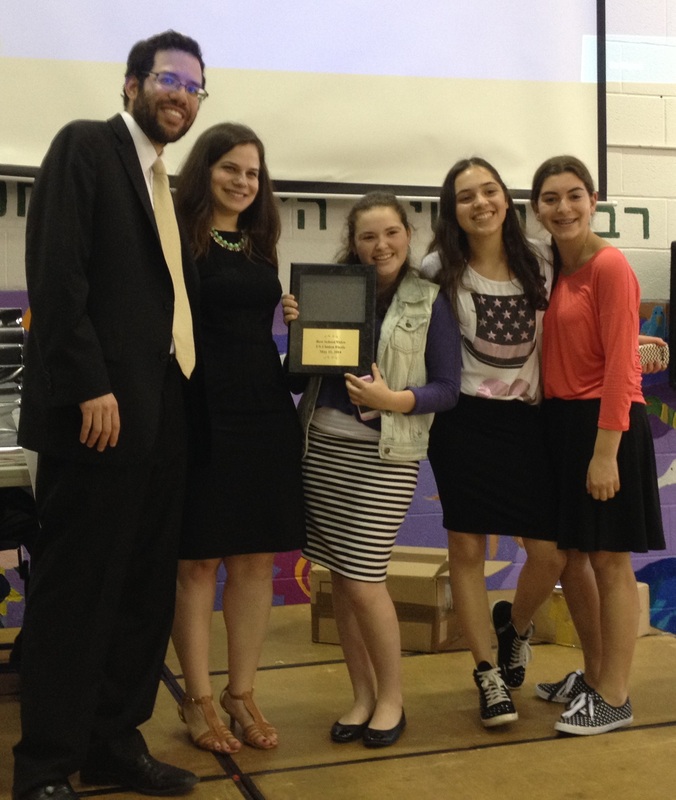 Congratulations to the video from YULA Girls School for winning first place! •	You should aim to arrive between 9 and 9:30 AM. As soon as you arrive, you should go over to the registration tables and sign in, so that we can know who has shown up. •	Parking can be difficult in Manhattan. If you have a choice, I recommend using public transportation, with the 1 train being the closest subway line to MDS. There are several lots where you can pay to park near MDS, with High Rise Parking (210 West 71st Street) being the most affordable option that I know of. •	If anyone would like to daven Shacharit near the Chidon, the West Side Institutional Synagogue (120 W. 76th St., New York, NY 10023) has an 8:30 AM minyan and is a 5-10-minute walk from MDS. •	At 9:30, we will begin the opening assembly, in which we will show a brief video presentation about the International Bible Contest that our Chidon’s winners attend in Israel. Following that assembly, you will be sent to the exam rooms, where the written contest will take place from roughly 10 AM to 12:30 PM. There will be 2 parts to the exam, with a short break in between them. Only actual contestants are allowed in the classroom area where the exams take place. •	Please be sure to bring a #2 pencil, because the exam will require you to fill out a scantron form. In addition to bringing pencils, students are allowed to bring snacks with them into the testing area. •	While students are taking the written exams, there is no formal program for parents and family members. However, there are many interesting museums and attractions within walking distance of MDS, such at the Museum of Natural History and Central Park. •	The closing assembly will begin in the auditorium around 1:15 PM. We will hear from a past Chidon champion, and we will conduct the final video round of the Chidon for the high scorers from the morning’s written tests. Chidon finalists who are not called up to the front for this final round will be able to text their answers to the video questions for a chance to win prizes. So be sure to bring a cellphone if you’d like to participate in that. This year’s closing assembly will also include the school video contest, where the audience will vote by text message for the winning video. At the end of the closing assembly (around 2:45 PM), we will present the winners with their prizes and conclude by singing HaTikvah. 1) This Tuesday – Yom Haatzmaut – is the International Chidon in Israel. The 75 contestants came from all over the world, including 4 Americans. The televised finals will feature the top 16 finalists include 3 Americans – Dani Peyser, Elisheva Friedman, and Asher Finklestein. You can watch the event live (albeit at 4am EDT) at http://www.iba.org.il (best viewed in Internet Explorer). The video is normally archived there shortly after the event, so you can also watch it later that day. 2) On Sunday May 11th, we will be offering an amateur webcast of the US Chidon closing assembly starting around 1:15 PM on our Ustream Channel – http://www.ustream.tv/channel/usa-chidon-hatanach-bible-contest. For those of you who recall last year’s webcast, this year’s will be similar video and audio quality. We hope that this webcast will help family and friends who cannot attend the event nevertheless feel connected to it. You are currently browsing the US Chidon Ha-Tanach blog archives for May, 2014.